By: Dion N. Cominos, Esq. Under an Assembly Bill recently signed into law by California Governor Arnold Schwarzenegger, “Type I” subcontractor indemnity agreements in favor of builders entered into after January 1, 2006 will no longer be enforceable in the context of residential construction projects. Existing law provides that Type I indemnity agreements between builders and subcontractors are permissible except where they purport to indemnify the builder for its sole negligence or willful misconduct. However, AB 758 will amend section 2782 of California ’s Civil Code to provide that a builder may no longer obligate a subcontractor to indemnify the builder for the builder’s own negligence or for damages unrelated to the scope of work set forth in the agreement. The new law will not prohibit a subcontractor and builder from mutually agreeing to structure defense or reimbursements arrangements in any particular fashion so long as the central prohibition against Type I indemnity clauses is not affected. Further, the obligation of a subcontractor’s insurance carrier to defend an entire action against a builder under an additional insured endorsement remains unchanged under the legislation. The legislation is also inapplicable to contracts entered into prior to January 1, 2006, contracts involving commercial construction, condominium conversions or apartment construction, and also does not apply to personal injury claims. Further, AB 758 does not restrict a general contractor’s ability to incorporate Type I indemnity clauses into its subcontracts so long as the general contractor is not also a “builder” (I.e., in the business of selling residential units to the public). 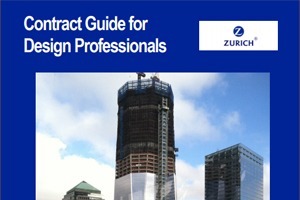 Interestingly, the bill does not specifically mention design professionals by name, and speaks only in terms of “subcontractors.” It is thus unclear at this time whether residential builders will be able to include Type I indemnity provisions in contracts with design professionals after January 1, 2006. About the Author: Dion Cominos is an attorney with the firm of Gordon & Rees LLP, 275 Battery Street, CA 94111; (415) 875-3133; dcominos@gordonrees.com; www.gordonrees.com.